Buy tickets online in advance or in the Fox Berkshire lobby at self-serve kiosks or the box office. Arrive 20 minutes early. Browse the menu. Place your order at the concession stand and receive a pager. While you're waiting, fill up soft drinks at the Coca-Cola Freestyle Machines or visit our cocktail bar. Pick up your order and indulge in front of the big screen! 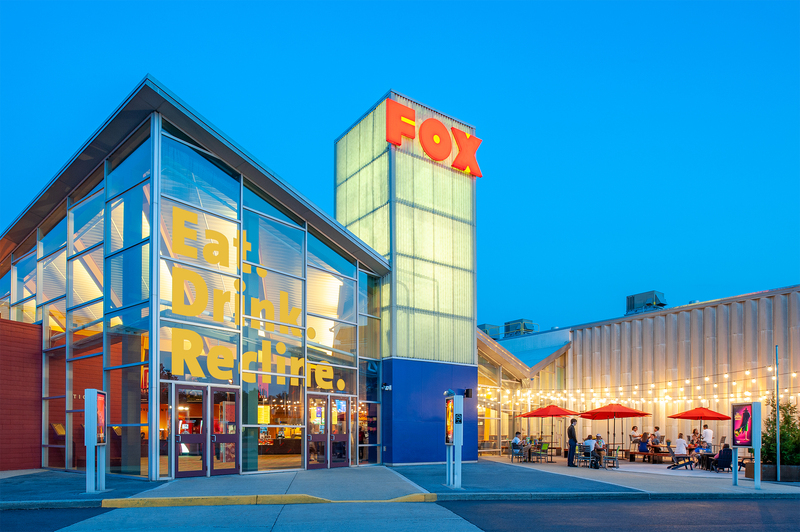 Experience Fox Kitchen & Bar and Fox Patio at our Fox Berkshire location. Choose from a full menu of made-to-order American classics, including starters, sandwiches, pizza, main dishes and desserts. At Fox Kitchen & Bar, you can enjoy handcrafted meals and specialty cocktails from the comfort of our luxury reserved recliners with convenient tray tables. Unwind under café umbrellas and a string light canopy while savoring tasty new dishes and signature cocktails from Fox Kitchen & Bar. Arrive early before your movie and stay late afterwards, or come only to enjoy food & drinks on the festive patio and relax by the fire pit, no ticket needed.